$5 Well Drinks, $2 PBR’s and $5 Jameson shots till midnight. 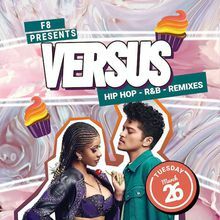 Versus is a weekly Hip hop and R&B themed party that goes down in SOMA every 1st and 3rd Tuesday. 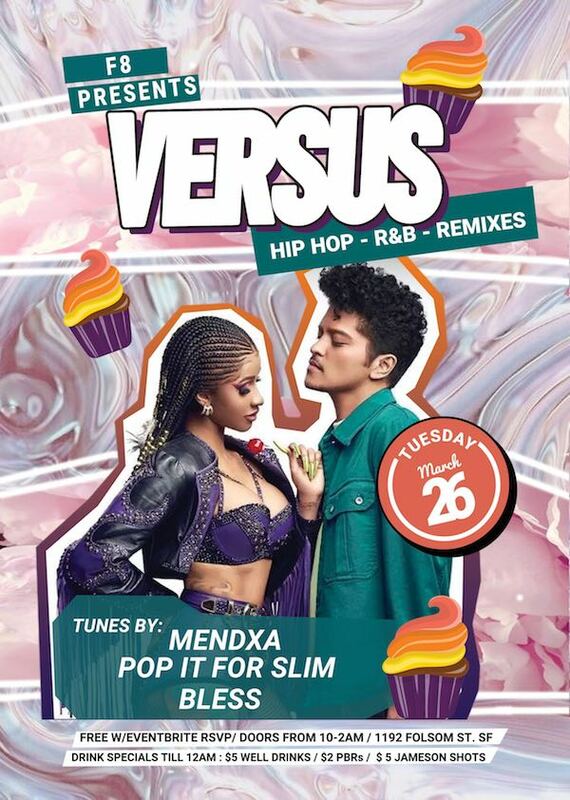 Rotating DJ’s will be bringing you the dopest tracks from the past couple decades on the weekly. Prepare yourself to get rocked nostalgically with all the classics, the underrated, the tracks you loved but neglected and more at F8!